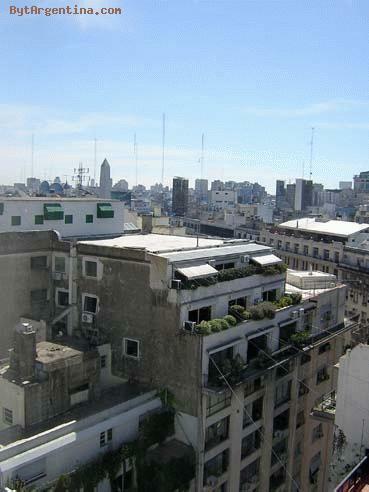 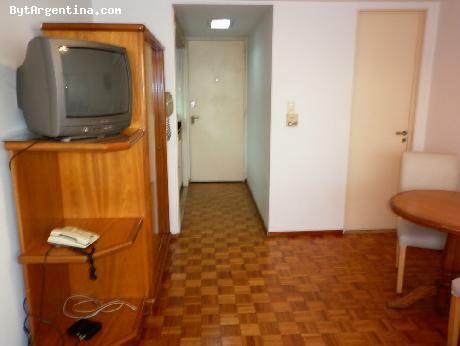 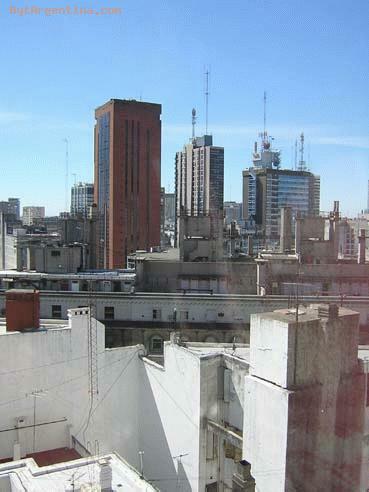 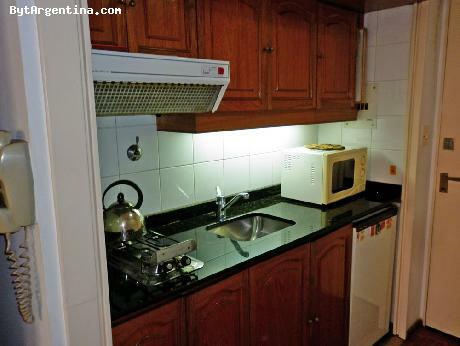 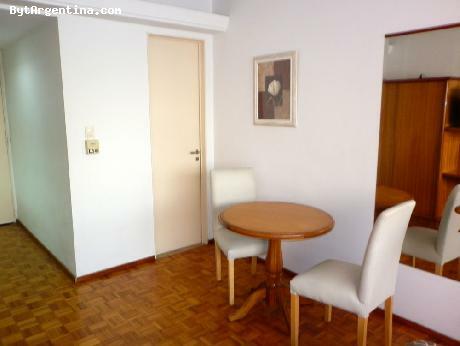 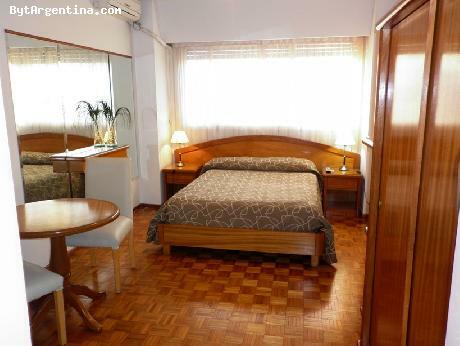 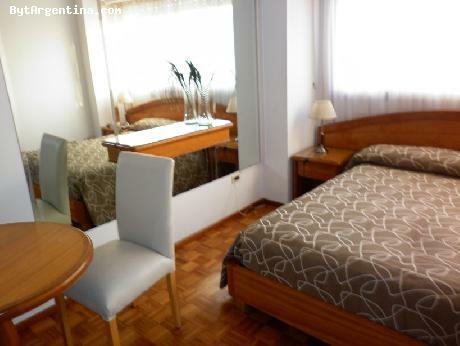 This is a bright studio, with a great view of the city in a beautiful building located in the financial district of Buenos Aires, well known for its theaters, just a few steps from the traditional Florida (pedestrian) street with its numerous shops. 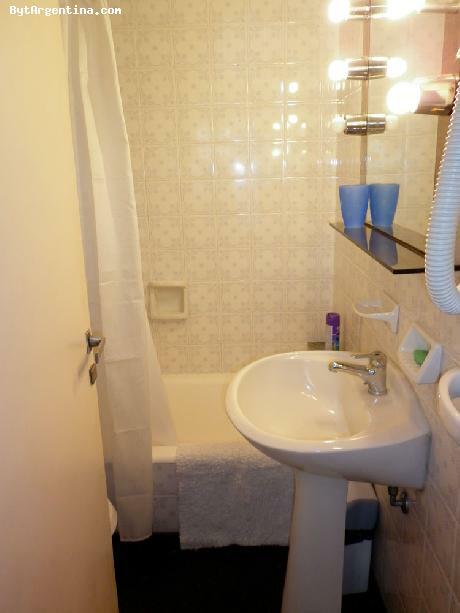 The studio offers a bedroom area with a queen size bed, a dining area with a round table for two people, an equipped kitchenette and one full bathroom. 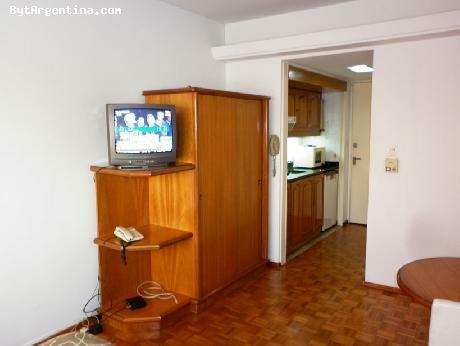 The apartment is equipped with Internet access Wi-Fi, cable TV, air conditioning, under counter fridge, microwave, dishes, kitchenware, linens and towels. The building has 24hs security staff. A nice option, bright with a great location.